University of California Press, 9780520300576, 322pp. 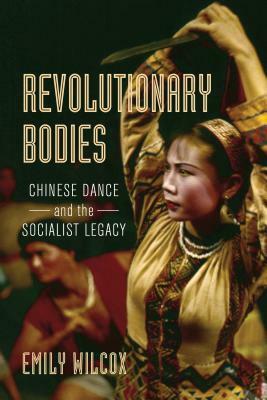 Revolutionary Bodies is the first English-language primary source–based history of concert dance in the People’s Republic of China. Combining over a decade of ethnographic and archival research, Emily Wilcox analyzes major dance works by Chinese choreographers staged over an eighty-year period from 1935 to 2015. Using previously unexamined film footage, photographic documentation, performance programs, and other historical and contemporary sources, Wilcox challenges the commonly accepted view that Soviet-inspired revolutionary ballets are the primary legacy of the socialist era in China’s dance field. The digital edition of this title includes nineteen embedded videos of selected dance works discussed by the author. Emily Wilcox is Assistant Professor of Modern Chinese Studies in the Department of Asian Languages and Cultures at the University of Michigan, Ann Arbor.